Last week we showed you the top pins from the Girl Fridays. were getting pinned the most from their blogs. that I found on Pinterest with #casfridays! These projects knocked my socks off!! 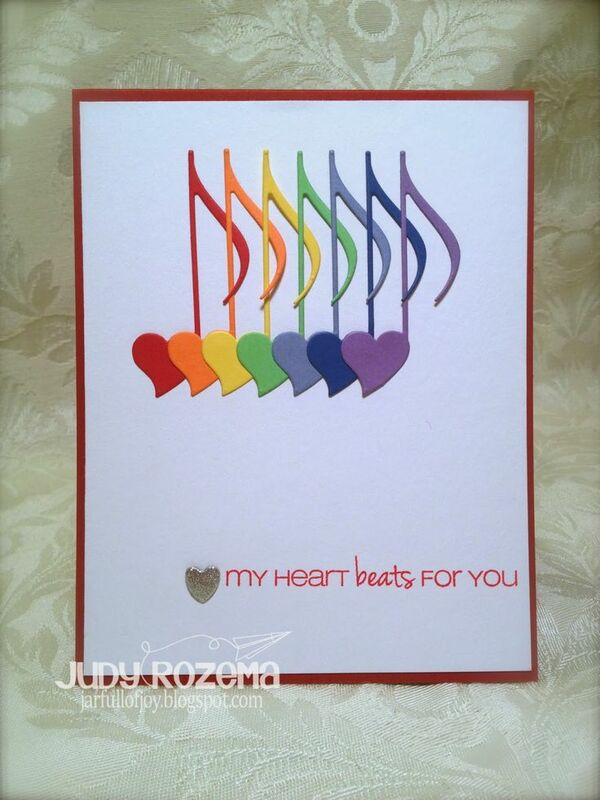 This card from Judy using our Heart Note Fri-Die and Love Notes makes my heart super happy! Oh gosh! This Bold Wishes beauty from Michelle at Pretty Periwinkles is awesome!! and I simply adore this one from Lydia! 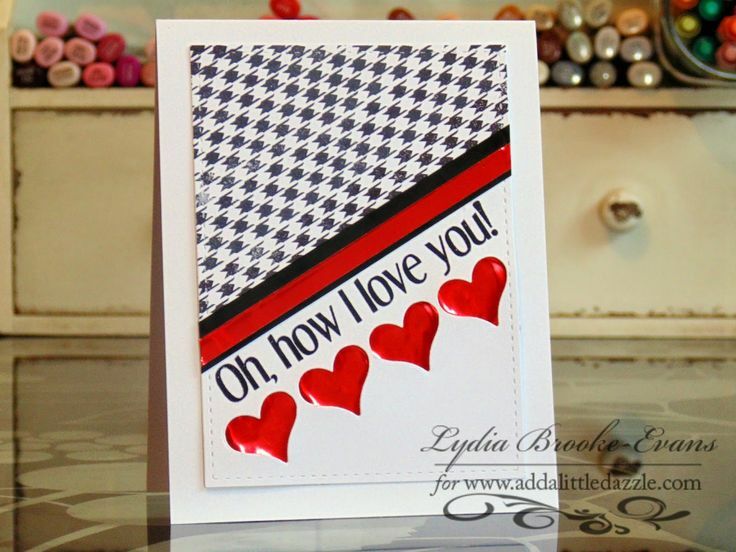 She used Houndstooth, Loving Thoughts and our Shuffle Fri-Dies. are on sale for the rest of this week on my website! Lovely cards the colors are superior. 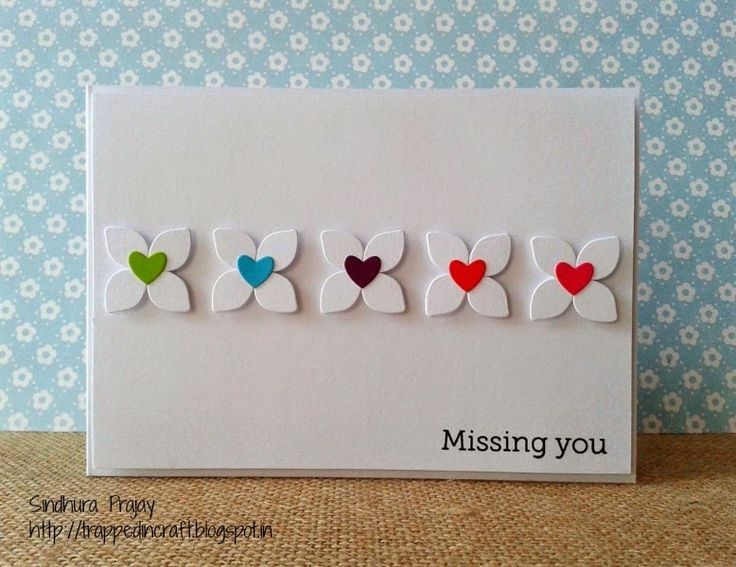 LOVE all these cards and the yummy white space! 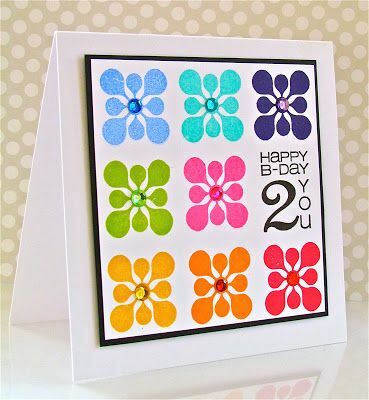 These cards are each so awesome and inspire me to be a better CAS stamper!!! Amazing!!! Oh, these are sooo fun and sweet!